MVCAcademy is back in session! 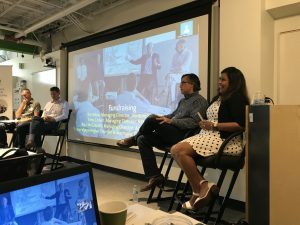 Last month, MVCA Venture Fellows hit the books for a one-day deep dive on venture capital covering working with portfolio companies, fundraising, and strategies for creating a more inclusive investment community. This program is supported by the Michigan Economic Development Corporation (MEDC) and is essential to fostering a strong entrepreneurial and investment community in Michigan. This year, MVCAcademy was in Ann Arbor, MI at the increasingly famous and wildly successful cybersecurity company, Duo Security. MVCA board member and managing director of eLab Ventures, Doug Neal, kicked off this year’s event. “Having a robust network is critical in venture capital. MVCAcademy allows experts within the entrepreneurial community to share their knowledge with the next generation of Michigan’s venture capital leaders as well as provide an environment where Venture Fellows can build relationships with each other that will last throughout their careers,” said Neal. In case you’re not familiar, the Venture Fellows program pairs investment professionals, who are early in their careers, with a Michigan venture firm for a two-year employment term. Participating venture firms are offered a salary match component while Venture Fellows have the opportunity to meet and collaborate with leaders in Michigan’s entrepreneurial and investment community by attending MVCA events and educational seminars like MVCAcademy. 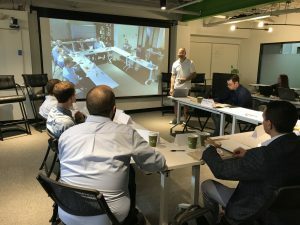 “MVCAcademy provided a platform for Venture Fellows to gain a special insight into the minds of Michigan’s top investors and entrepreneurs, which I found to be both inspiring and educational. The instructors tackled subjects such as adding value to your portfolio companies, creating a more diverse and inclusive work environment, and raising a new fund,” said Reda Jaber, former venture fellow and current director of business development at Gemphire Therapeutics. Sessions throughout the day focused on topics to aid Venture Fellows as they embark on their career in venture capital. Dug Song, CEO of Duo Security, provided insight on how venture capital investors can add value to their portfolio companies beyond funding. Song described the history of Duo Security and the importance of early-stage investors to be available, present, and helpful. True provided annual classes for their founders and strategic connections as well as moral support. He stressed upon the Venture Fellows that a great investor not only provides financing, but access to frameworks, models, perspectives, and networks, which are incredibly valuable at a company’s earliest stages. To complement this discussion, Guy Turner of Hyde Park Venture Partners and Chris Stallman of Fontinalis Venture Partners spoke further with the Venture Fellows about valuation creation – how to effectively support and partner with companies through exit planning. “MVCAcademy was great this year – the speakers were fantastic and the event gave us exposure to the best venture capitalists in the Midwest who are excited about helping the next generation of investors. We also had the opportunity to learn from Dug Song, Co-Founder, Chairman & CEO of Duo Security – Ann Arbor’s Unicorn. I took three pages of notes just from his presentation,” said Jeremy Werner, current venture fellow and senior associate at Beringea. Following this session, industry veterans Doug Neal of eLab Ventures and Adrian Fortino of Mercury Fund led a class on negotiating – opening lines of communication, building a consensus among the partnership, and laying the groundwork for a healthy, long-term relationship with portfolio companies. The morning concluded with Jim Adox of Venture Investors, Tony Grover of RPM Ventures, Paul McCreadie of Arboretum Ventures, and Sonali Vijayavargiya of Augment Ventures sharing stories and best practices for raising a venture capital fund. One of the most popular discussions of the day was with Trey Boynton, head of diversity and inclusion at Duo Security. She spoke with the Venture Fellows about their sphere of influence and role in creating a more inclusive work environment at their firms and at the companies they invest in. Boynton described the business case for enabling everyone to bring their best selves at work and provided insight on the benefits of high-functioning heterogeneous teams, including a better ability to solve problems and grow companies. The MVCA Venture Fellows are Michigan’s future venture capital leaders, so she also discussed the needed skills, resources and effort to build successful teams. As the day drew to a close, MVCA board member and managing director at Invest Detroit Ventures, Patti Glaza and Evan Ufer of Plymouth Growth Partners did a deep dive on due diligence before leading the group to a networking reception at a local Ann Arbor restaurant. MVCA wants to thank all of our panelists and speakers who contributed to making this year’s MVCAcademy a success! Save the Date for the Midwest Growth Capital Symposium!